Make a trip down memory lane with a traditional Disney Princess Belle Musical Tin Jack In The Box that can be enjoyed by children of all ages! 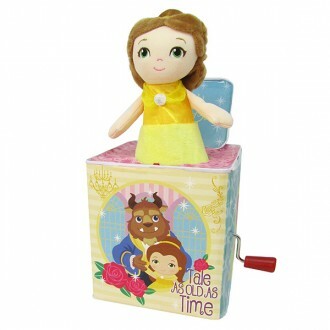 Your favourite Princess now in a wind up Jack-in-the-Box which plays the classic tune “TALE AS OLD AS TIME”. Decorative artwork covers the outside of the box making it beautifully striking and eye-catching. Absolutely gorgeous and will become a keepsake for your child.